Being a member of the Athletic Club is a great way to meet people. Sts. Peter & Paul Athletic Club promotes, through united effort, athletic activities for the students affiliated with Sts. Peter & Paul Parish. We foster good fellowship and through social activities strive to create a better relationship among our members and the families of Sts. Peter & Paul Parish. Membership to the Athletic Club is open to all parents of students enrolled at Sts. Peter & Paul school or the Religious Education program. It is also open to any and all parishoners of Sts. Peter & Paul Parish 19 years of age or over. 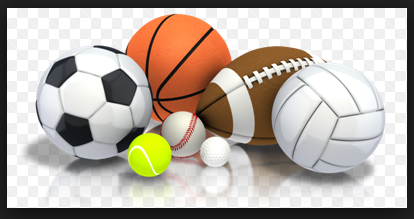 The Athletic Club organizes sports activities such as volleyball, basketball, baseball and softball. Additionally, we host an annual basketball tournament. *Note – We are trying to get involved with a soccer league but nothing has been confirmed at this time. The money raised is used for sports entry fees, referee/umpire fees, team uniforms, necessary equipment, and overall upkeep of the gym. If you would like to come see what this group is all about, meetings are open and members do not have to pay dues. Our group meets on the 1st Tuesday of every month at 7:30 in the gym. Meetings generally last 15-30 minutes and food & drink is provided.